Thanks for looking at this new vehicle! Its one of many to choose from at our San Tan dealership in the Phoenix East Valley - And, that aint no bull! 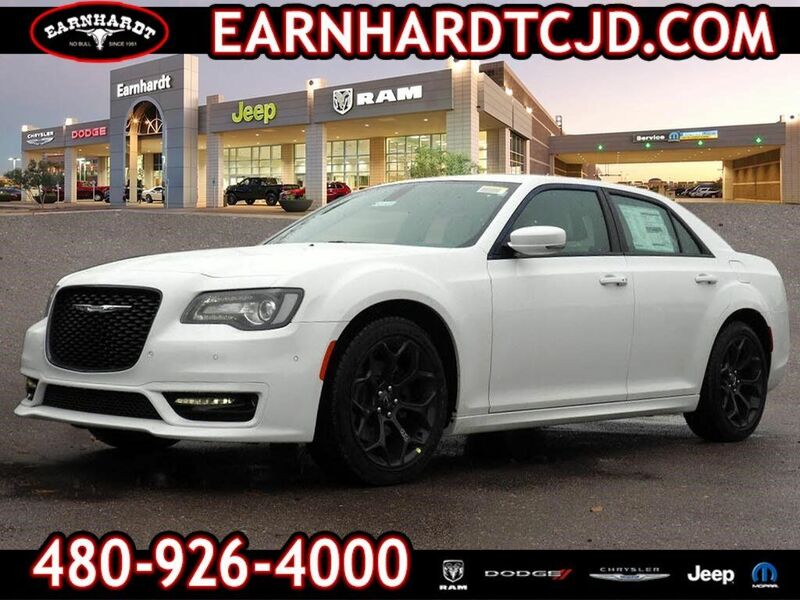 Outfitted with a push button start, remote starter, a leather interior, heated seats, stability control, traction control, premium sound system, and Sirius satellite radio, this 2019 Chrysler 300 300S is a true steal. It has a 8 Cylinder engine. This safe and reliable sedan has a crash test rating of 4 out of 5 stars! It has great mileage with 16 MPG in the city and 25 MPG on the highway. Put an end to wear and tear and enjoy long-lasting leather interior. Keep the tunes going with features like premium sound system. You won't miss a beat with great time-saving features like push button start and remote starter. Keyless entry makes unlocking and locking this vehicle simple with one hands-free click. Call today to schedule your test drive! No Bull is more than a slogan - Its a way of life. Its a way of doing business. And it means - price wont get in the way of having happy customers. Please make us an offer today!